Guest Post: Events that inspire! – Part II | What Gives??? One delightful outcome of starting www.whatgivesphilanthropy.com has been to be contacted by people all over – from Colorado to New York to my hometown of Toronto – with fantastic fundraising-related ideas to share. One such example is below – a post-event release from MJ Pedone at Indra Public Relations in NYC. 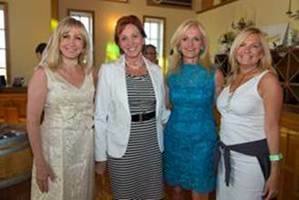 MJ is the Publicist for the Ann Liguori Foundation, and Ann hosted an exciting event this past weekend. Read more below to be inspired by another great approach to fundraising events! 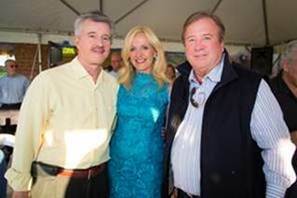 Southampton, NY – Saturday, July 21, 2012, the 14th Annual Ann Liguori Foundation Dinner Dance at Duck Walk Vineyards, presented by Outback Steakhouse, was another sell-out. The dinner dance benefits the American Cancer Society and Healthy Children, Healthy Futures, teaching young people about good nutrition and exercise for over-all good health benefits. The Ann Liguori Foundation underwrites nutrition education assemblies each year and brings nutritionist/entertainer Jill Jayne to the East End to conduct entertaining and educational assemblies for young people. In addition to Ann Liguori’s renowned sport’s broadcasting career in radio, television and print, Ann founded the Ann Liguori Foundation four years ago to raise money and awareness for cancer prevention and cancer care. This elegant dinner dance at Duck Walk Vineyards featured a variety of wine, signature cocktails, delicious appetizers and a full buffet, courtesy of Outback Steakhouse. In addition to the array of food offerings, there was live music and a live and silent auction that raised money for the cause. This entry was posted in Events, Fundraising - General, Guest Blogger and tagged charitable giving, events, events that inspire, guest blogger by Maeve Strathy. Bookmark the permalink.